My parents gave me my first camera, a Polaroid, for my 9th birthday. At the time I doubt they realized the fire they lit in my heart that day. That birthday present sparked a lifelong passion and love affair with the art of photography. I became enthralled with the ability to freeze time, and preserve moments. On occasion, my mom would babysit the neighborhood kids and I saw this as an opportunity to refine my “skills” and employ them as my models. I would haul blankets from the linen closet to use as backdrops, and round up miscellaneous décor items to use as “props” to artfully accentuate my vision. When the parents returned to collect their children, I would present them with my polaroid-creations, which were autographed of course. I remember the warm fuzzy feeling that would wash over me as I watched their faces. It is a feeling I still feel today when I present my clients with the artwork we create for their families. I was hooked on capturing and freezing those moments. If you look closely through the studio, you will find that first Polaroid camera and some of my original artwork circa 1994 on display. Flash forward to 2007, when I started my first photography business in Arizona. I needed a name for my LLC, and “Life’s Memorable Moments” was a natural choice, as I was focused on documenting the memorable moments in my clients’ lives. Over the years, my business and art has evolved, but the word “moment” has always remained. In 2014 I took a HUGE leap, and leased my first commercial studio space and created a newborn photography studio in Downtown Mesa, Arizona. In conjunction with moving to a commercial location, I knew my brand, logo and business name needed a complete overhaul. I agonized for weeks- as a complete change (including forming a new LLC) is a pretty big step. A few weeks after I leased the studio, I had a dream that I was showing my Grandma Rose my new space. She was a feisty Latina, and savvy small business owner who passed away when I was 11 years old. In the dream, I excitedly shared my vision with her, but lamented at my dilemma on finding the “perfect” name for the rebrand, still wanting to include the word “moment”. 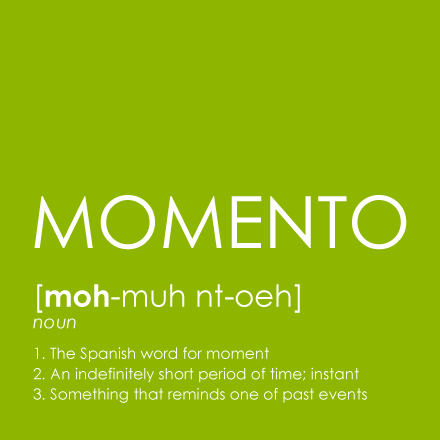 Without missing a beat, Grandma Rose said “ you should call it Momento … the Spanish word for moment.” I loved it! In a way it seemed like a tribute to my grandma and her Hispanic heritage, and my love of the Spanish language (I lived in Costa Rica to learn Spanish in college). Momento Studios. I woke up, and knew in my heart that it was meant to be. The rest is history! 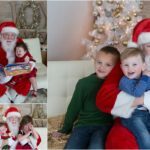 And then there was a Blogsite!